In the lestest product version the following functionality has been moved to the standard visual studio menus such as File>New or right mouse click project "New"
The "New" menu contains two very useful options enabling new files to be quickly added to an arduino visual studio project . This is a useful features if you often need to add a new .c and .h files to your projects. 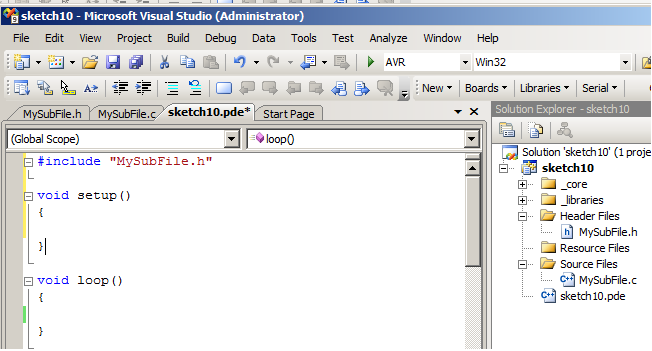 note: To add files to your arduino projects in visual studio you can always use the standard visual studio "add file" or "add existing file" options. 3. Visual Micro does the rest!